Friday, April 26 Owner operated. Results Guaranteed! Serving Reston since 2002. Commercial and Residential. 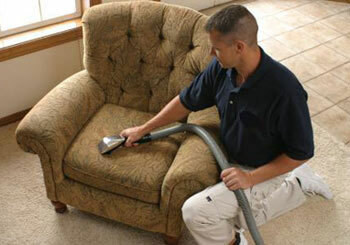 A+ Carpet Cleaning & Flooring has provided Reston upholstery cleaning services since 2002. Daily life will start to show on all household furnishings and especially upholstery. Drink and food spills, dirt from clothing and shoes, indoor dust, pet accidents, etc. all contribute to the problem. Our expert upholstery cleaning is the solution. Furniture cleaning should be left for the professionals. Let A+ Carpet Cleaning restore the beauty of your upholstery. Similar to our carpet cleaning process we recommend hot water extraction as the most effective process to clean most upholstered furniture. While most furniture can be cleaned using hot or cold water it is important that you educate yourself on the type of material your upholstery is. Most furniture comes with a label under the cushions which indicate a 'W' or 'S' or both. 'W' stands for water-based cleaning is recommended and 'S' for solvent-based only or dry clean only. We do not offer a dry cleaning service for upholstery. If you are unsure of your furniture our trained technicians will properly advise on the proper cleaning process your upholstered furniture requires. After our cleaning process is completed, upholstered furniture typically takes 3-4 hours to dry. 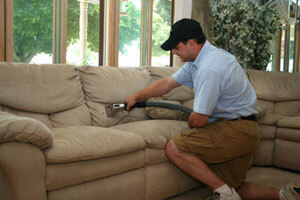 Reston - Upholstery Cleaning at its best is available now.